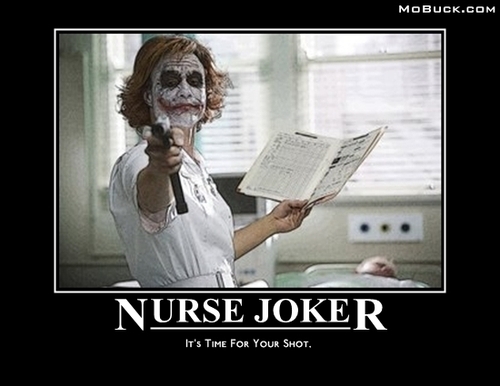 Crazy Nurse Joker. Uh oh.... Wallpaper and background images in the The Joker club. This The Joker fan art contains akhbar, kertas, majalah, tabloid, kain buruk, and muhyiddin. There might also be tanda, poster, teks, papan hitam, and chalkboard.